Majestic glacier-carved and glacier-fed Lake Quinault is surrounded by the mossy old growth trees of the Quinault Rain Forest, one of only three temperate coniferous rain forests in the Western Hemisphere. 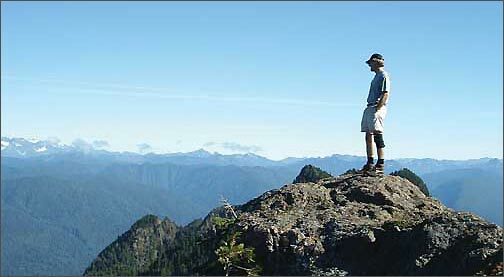 The Quinault Valley is known as the "Valley of the Giants." Here you will find the largest Sitka Spruce tree in the world, along with other nationally recognized giants of Hemlock, Douglas Fir and the mighty Western Red Cedar. Lake Quinault is located on the southwest end of the Olympic National Park. Miles of trails, swimming, boating and fishing are easily accessible from the many campgrounds and resorts around Lake Quinault and within the Quinault Rain Forest. A 31 mile loop road takes you around the lake venturing into the south end of the Olympic National Park. Keep a keen eye out for Roosevelt Elk, Black Tail Deer, Cougar, Bald Eagle, Bobcat, and Black Bear and gorgeous views of the Olympic Mountains.